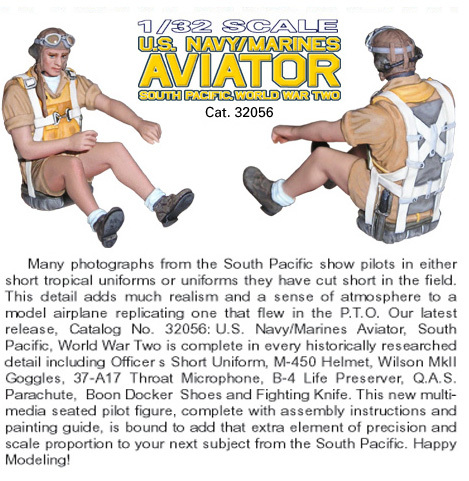 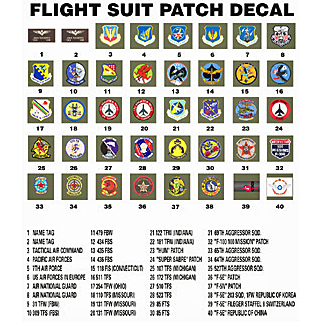 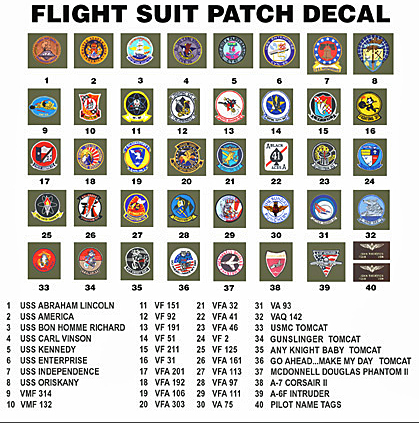 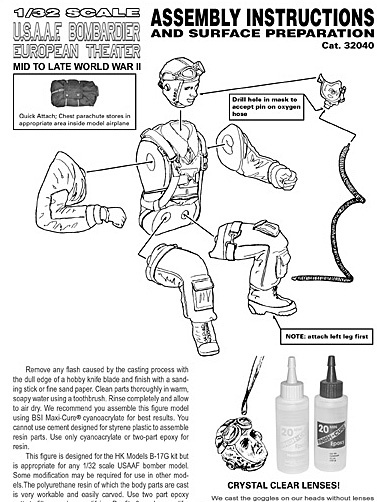 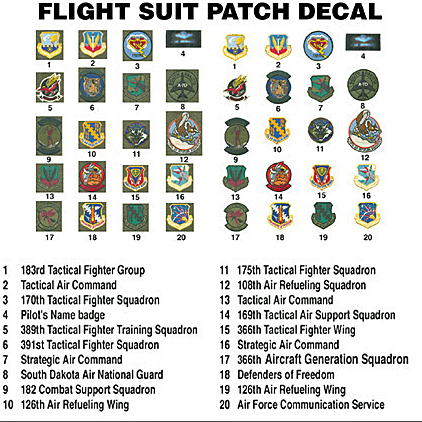 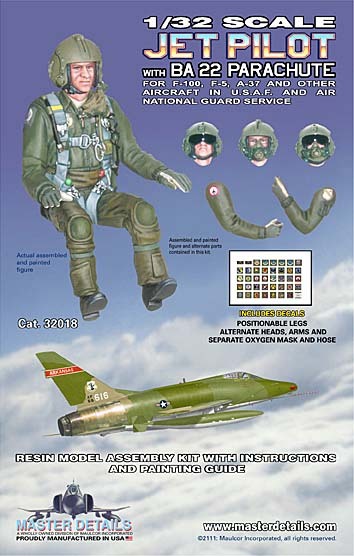 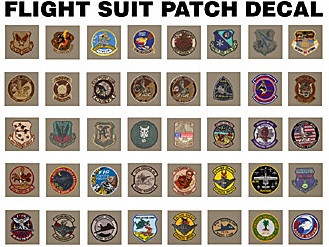 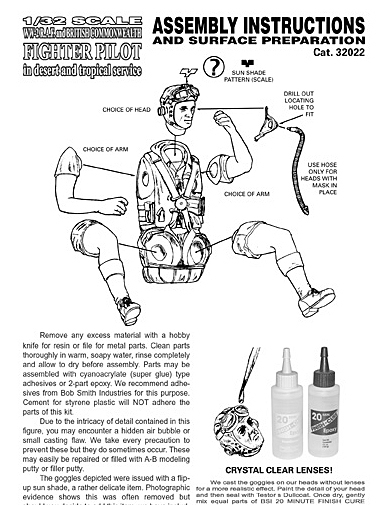 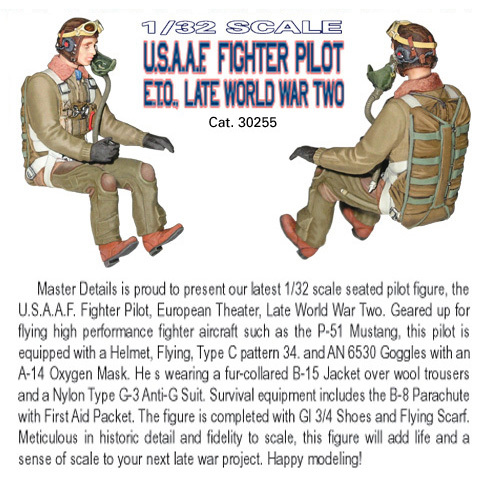 1/32 U.S.A.A.F. 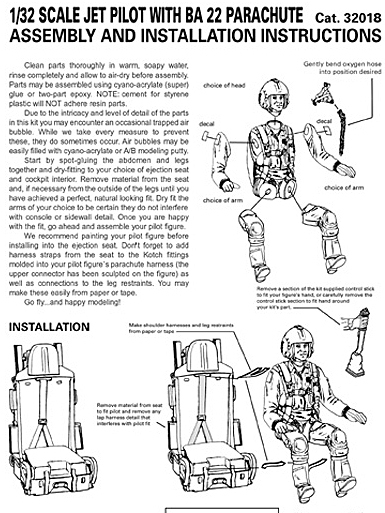 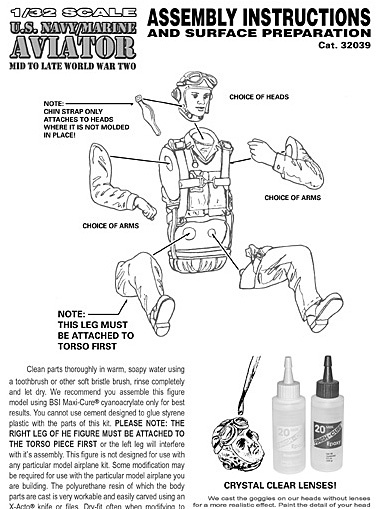 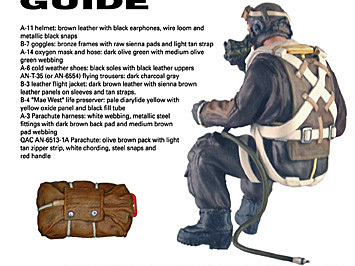 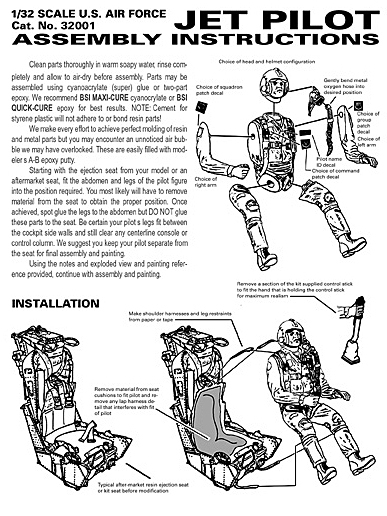 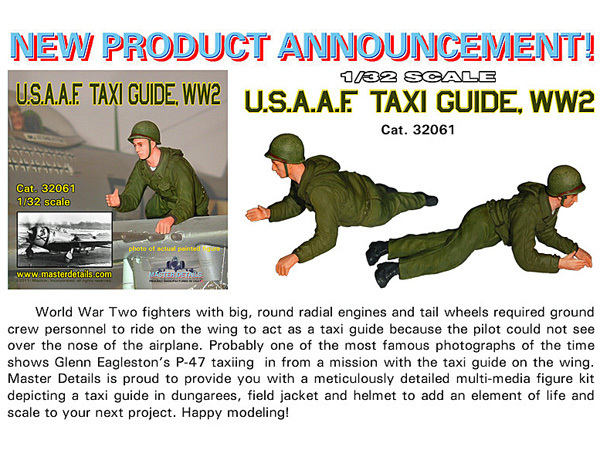 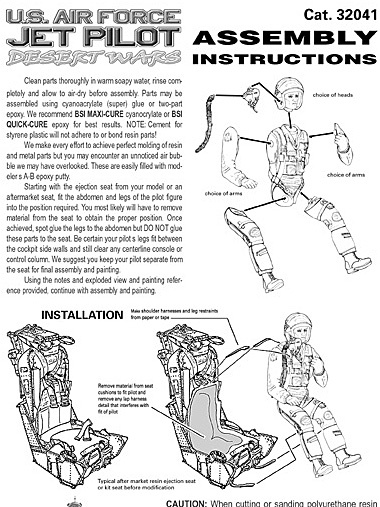 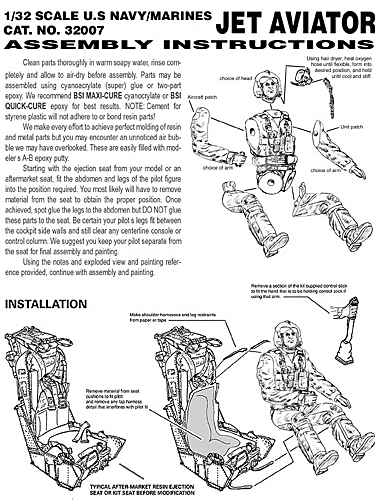 Taxi Guide, World War 2 wing riding, taxi guide for tail dragging radial aircraft. 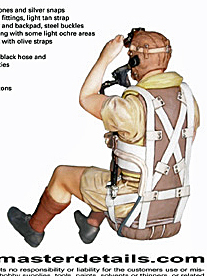 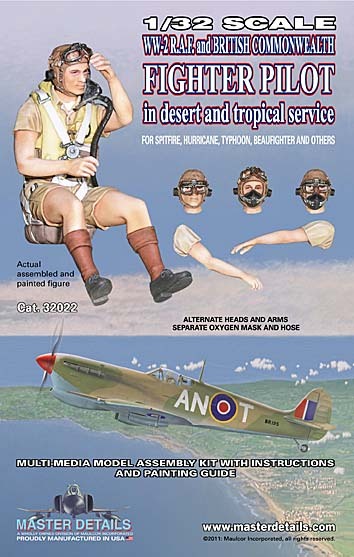 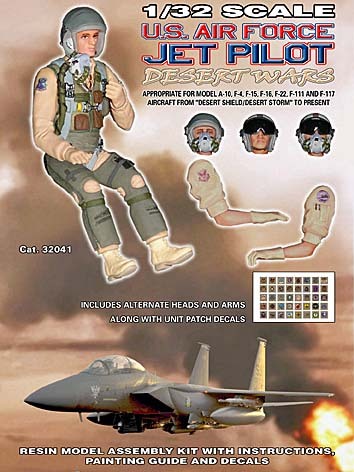 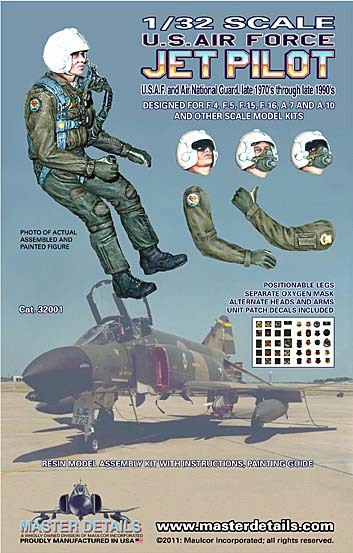 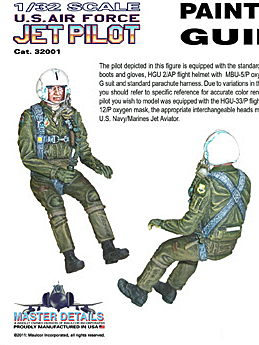 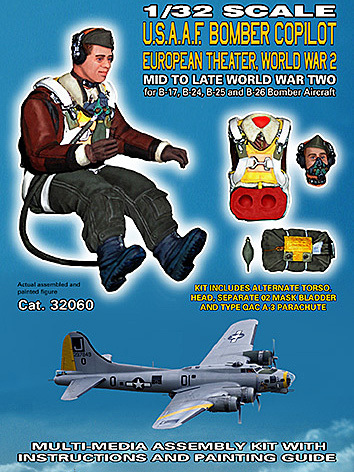 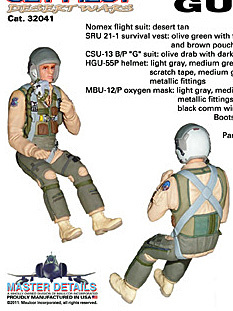 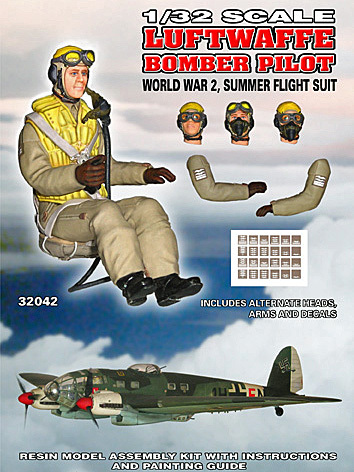 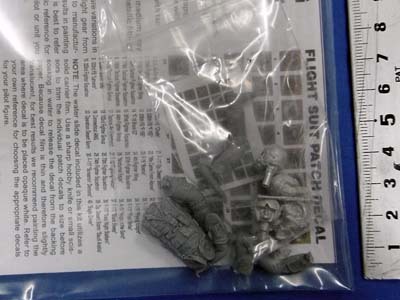 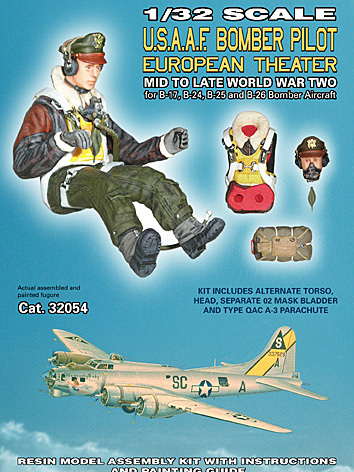 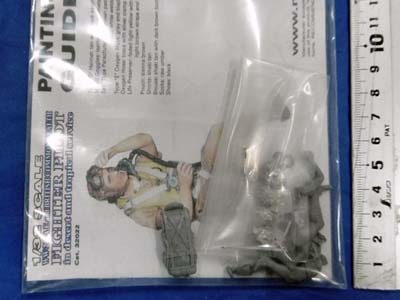 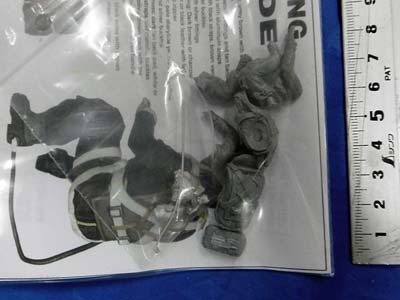 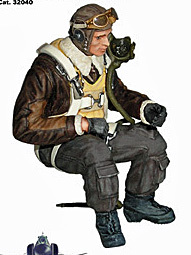 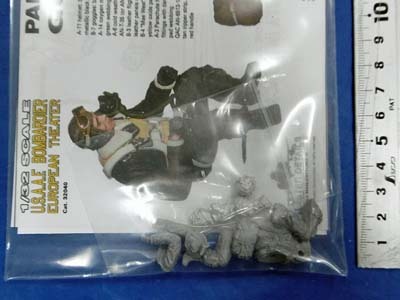 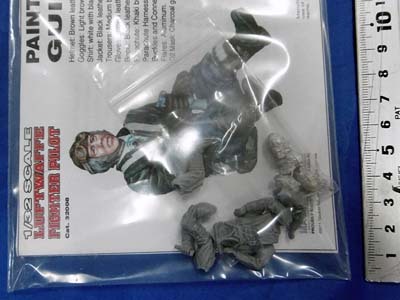 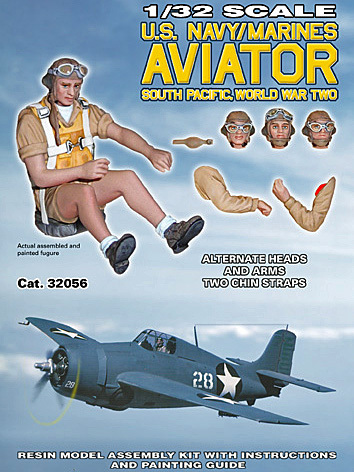 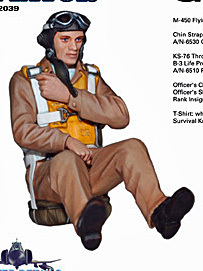 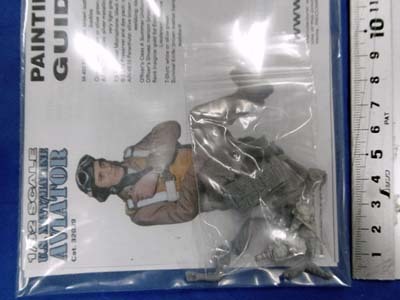 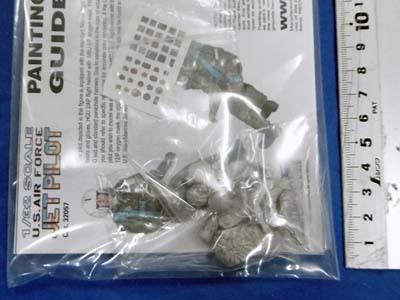 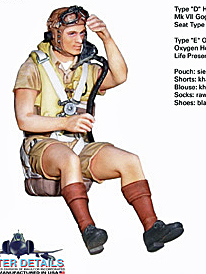 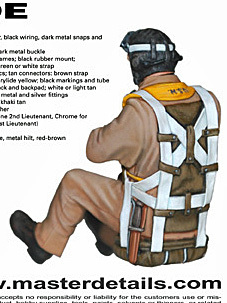 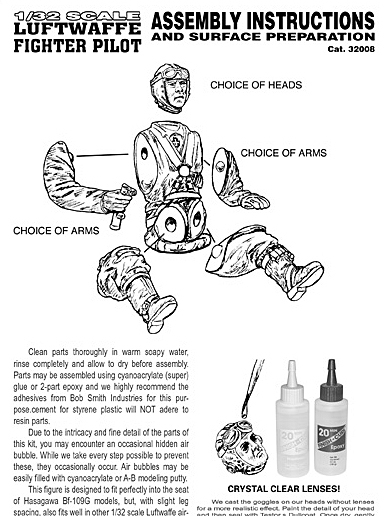 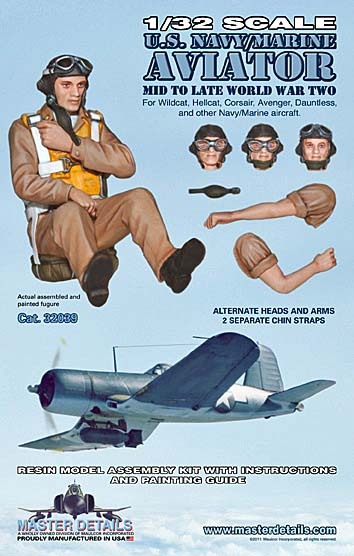 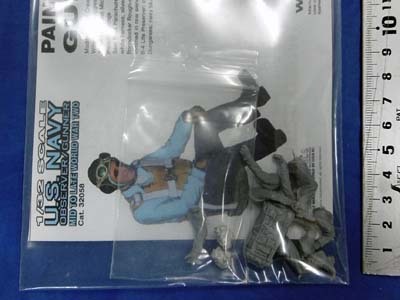 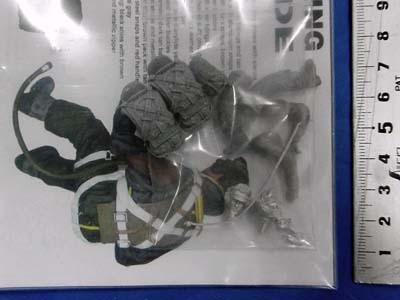 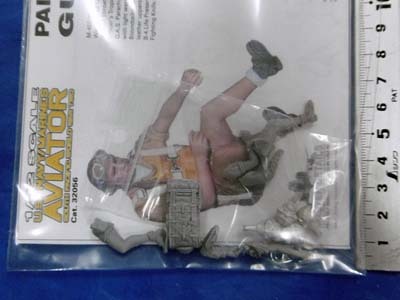 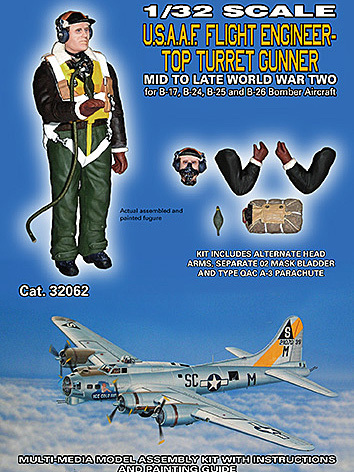 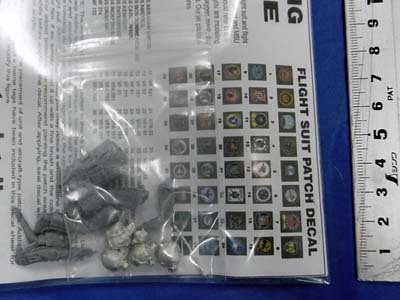 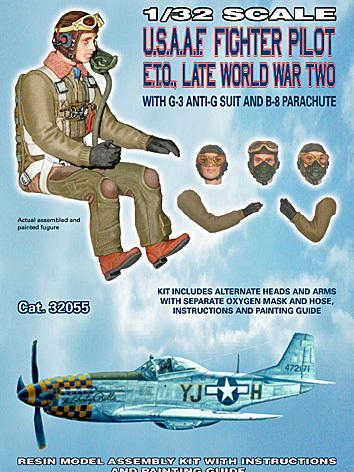 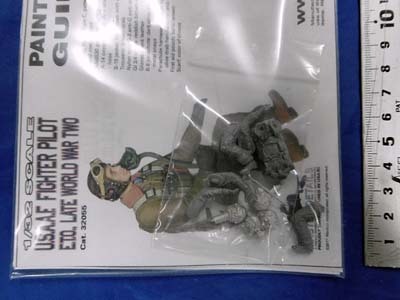 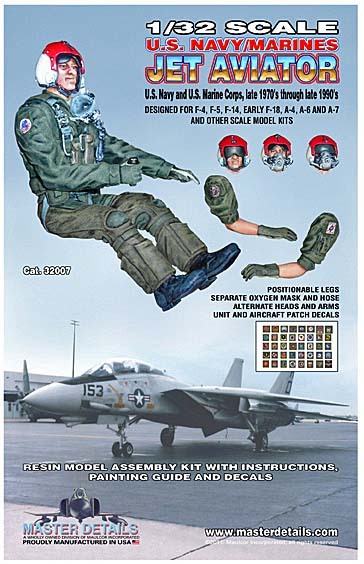 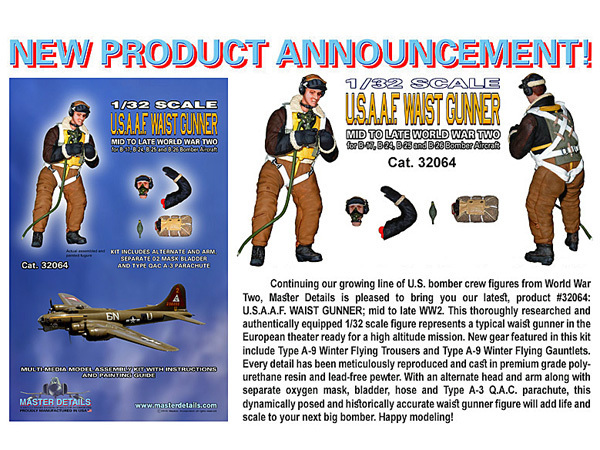 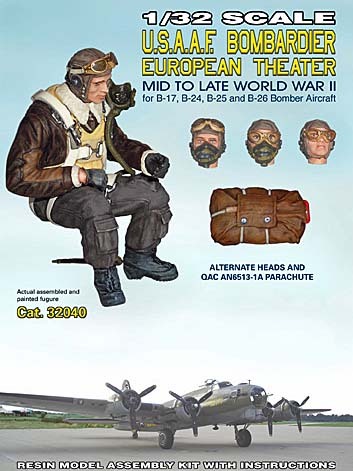 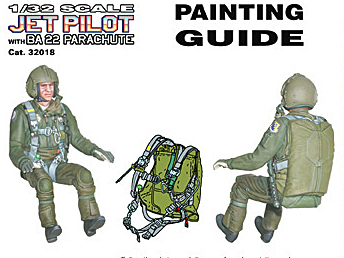 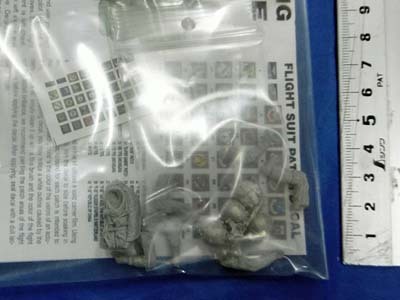 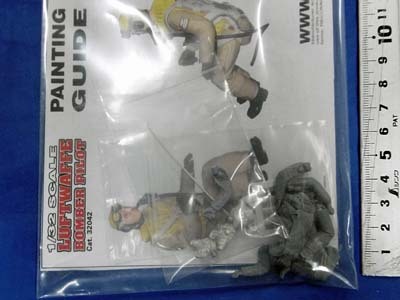 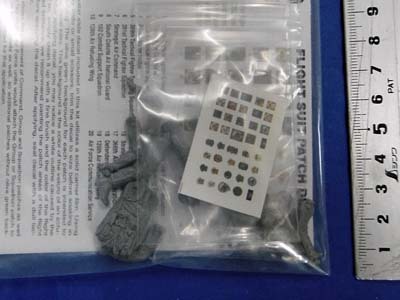 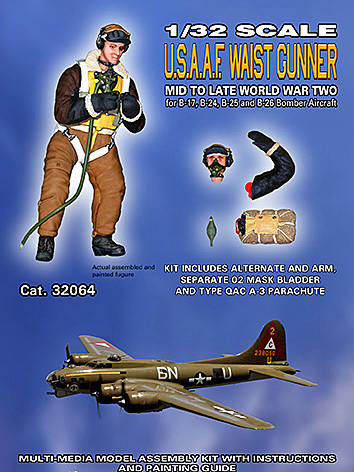 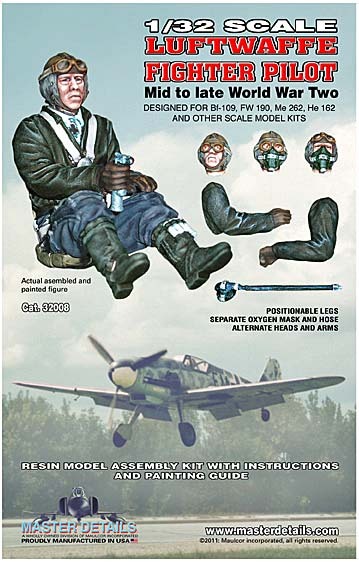 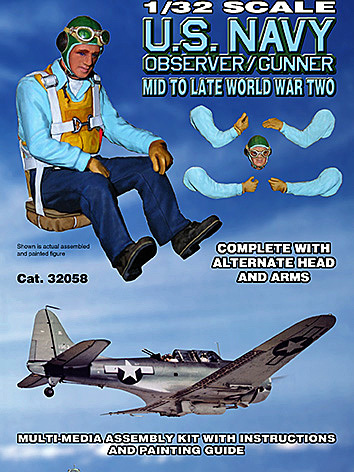 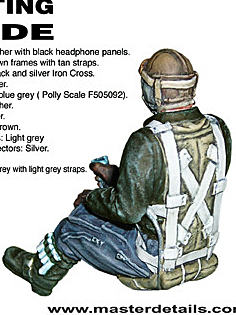 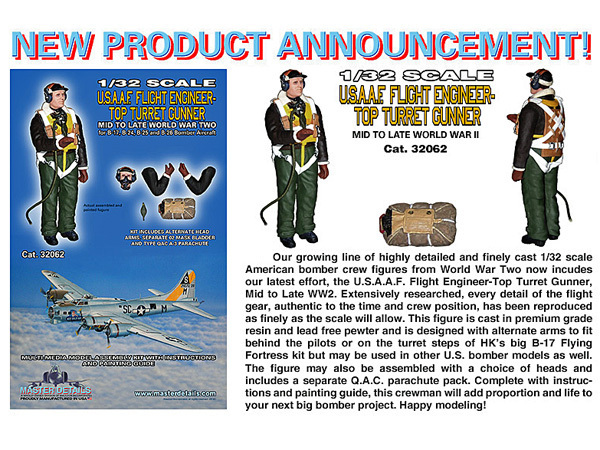 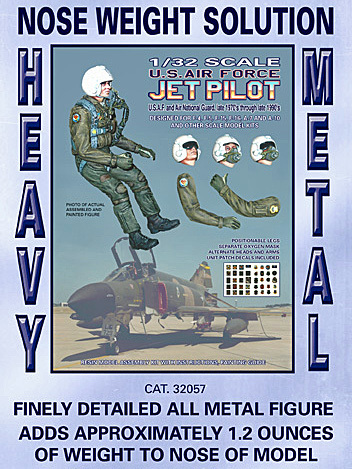 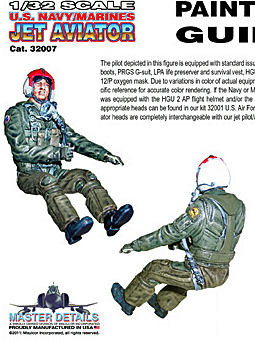 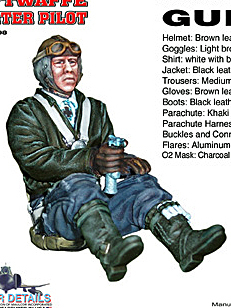 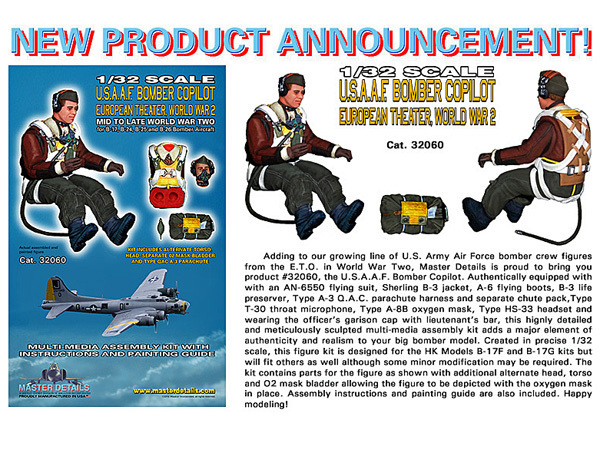 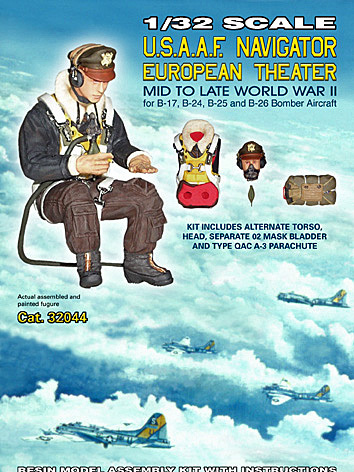 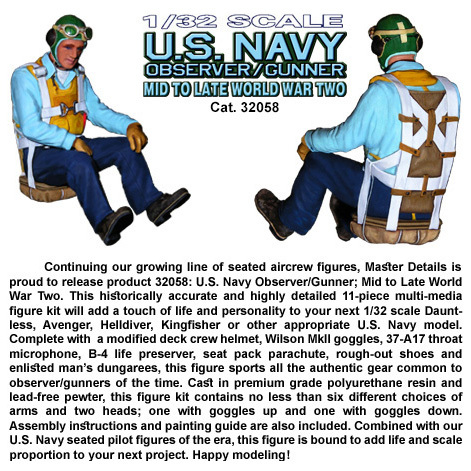 Luftwaffe Fighter Pilot Designed for Bf-109, FW 190, Me 262, He 162 and other scale model kits.